Getting paid to travel? Seems like the dream, doesn’t it? Well, it doesn’t have to be a fantasy. Believe it or not, there are actual jobs that you can do where you get paid to travel the world. You can travel indefinitely while boosting your career. You won’t have to stick to a strict budget because money is always circulating in. It means that you can explore without having to work full time or book sporadic time off. Below we’ve listed 8 ways that you can get paid to travel. We know, writing doesn’t come naturally to everybody—but don’t lose hope just yet. All you have to do is build up your social media presence and use your online influence to travel the world. There are tons of social media influencers being paid by travel companies and tourism organizations. You’ve probably seen them on, Instagram accounts with big followings posting sponsored content. Well, those specific posts are paying really well. Tourism boards will pay for accommodation, tours, flights, and food, as well as paying you a salary, just to show your followers what that specific region has to offer. This kind of work can actually provide you with variety. Obviously, there’s nothing wrong with becoming a tour guide for just one place like, say, Paris. However, you can also lead groups through multiple destinations, on longer trips. This might not give you the freedom you were looking for. You’ll, more than likely, be working through a contract on a full-time gig. That being said, it does provide you with the opportunity to experience new cultures and meet loads of fascinating people. This isn’t a skill you’ll be able to learn overnight, this is for those artistic photographers that already have clients willing to pay for your work. 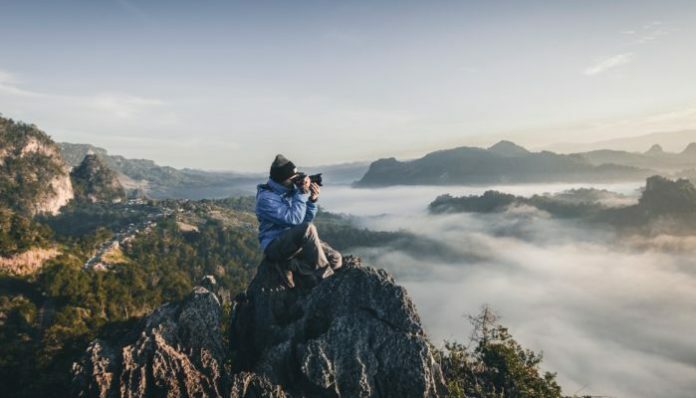 Traveling to new places, taking amazing shots and showing the world could be one of the most fulfilling projects of your life. Why not begin a world travel series? Alternatively, for all those photography enthusiasts out there, a wedding destination photographer could be the job for you. You’ll have to work hard on the big day, but the rest of the trips will be yours to enjoy. Keep in mind that the entry costs into this type of work can be high. Have you ever heard of an au pair? It’s basically an international nanny. This job gives you travel, a room, food, and pocket money, all for looking after children. It might sound a little strange, but a lot of people are trying it out. It’s a great way to see the region and experience the culture from a locals’ perspective. Researching for a travel guidebook, documentary, or book would be extremely rewarding. Travel guidebooks like Fodor’s or Lonely Planet rely on researchers for their new, exciting content. Researching for a guidebook isn’t filled with freedom, in fact, sightseeing is just a small part of the job. The rest will be filled with reports, articles, maps, and tedious data entries. Though with this kind of work, you might be able to treat it as a bit of a vacation. The best things about these types of jobs are the rewards. Although they might not pay an excessive amount, you’ll be helping people, spreading your knowledge, and enlightening the world about new issues or developments. This might not be the most exciting of jobs, but you can meet new people, earn money, and have a bit more security and explore the world. This could be anything from working in a vineyard in Italy, a cheese store in Paris, a café in New Zealand or a bar in Turkey. Yes, technically it doesn’t pay you to travel. but you do get paid to visit new places, earn a decent wage, and meet interesting, new people. If you’re good on a computer, a wiz with social media, and have great admin skills… Then there’s a job for you. Virtual assistants are in high demand at the moment, with tasks varying from role to role. You can earn up to $10 an hour, which is more than enough to live on. All done from the comfort of your own computer, you can become a digital nomad and live the enviable life that many can only dream of. Depending on the company, you might also be paid to travel— or be invited to meetings and events all over the world. It’s not impossible to make money while you travel. In fact, earning cash while you revel in another culture is becoming a common trend. If you want to travel, but don’t want to spend time collecting the money to do so, these simple suggestions could change your life. This was a useful post and I think it’s fairly easy to see in the other reviews, so this post is well written and useful. Keep up the good work.